These terms and conditions will govern bookings made with Wild and Exotic Ltd, Muscoates Grange, Nunnington, York, North Yorkshire YO62 5XF herein after referred to as “ Wild & Exotic Ltd”. 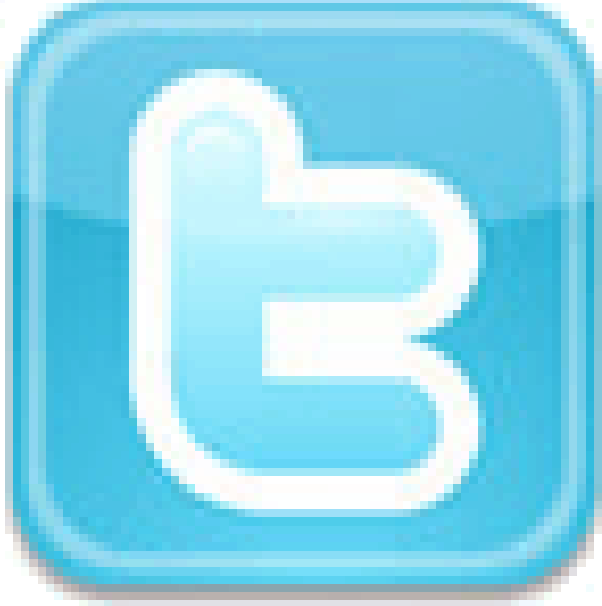 Telephone 01439 748401 Fax 01439 748387. In these terms the “client” will be any individual who makes a direct booking with Wild & Exotic Ltd for any activity, sport or itinerary. “Date of departure” will be either the date of departure or commencement date of a published itinerary, or the date on which a booked sport, itinerary or activity is due to take place. “Itinerary” will be the description given to any trip, activity or sport offered by Wild & Exotic Ltd as described in these terms and conditions. No booking will be considered as confirmed until the minimum deposit has been paid and when necessary, a completed booking form returned to Wild & Exotic Ltd. Unless the required deposit or full payment reaches Wild & Exotic Ltd by the stipulated date all reservations held for the client will be cancelled. Unless otherwise stated, the balance of any invoice is due 8 weeks before the date of departure. If the client fails to pay the balance due by the specified date Wild & Exotic Ltd reserve the right to treat the booking as cancelled in which case no refund will be payable to the client. Wild & Exotic Ltd reserves the right to refuse any booking without having to disclose its reasons for so doing. Any amendments after a deposit has been paid must be requested in writing and the client will be liable for any expenses incurred in organising such amendments, and it shall be at Wild & Exotic Ltd’s absolute discretion whether it accommodates or refuses a request for a change of booking or itinerary or the transfer of a booking into the name of a different client from the one who originally booked. Notice of cancellation must be given to Wild & Exotic Ltd in writing. A refund will not be given to the client unless a replacement booking is accepted or the relevant owner or operator’s terms permit. Wild & Exotic Ltd may authorise minor changes to an itinerary without prior notification to the client. In the unlikely event of a significant alteration or cancellation the client will be offered the choice of either accepting an alternative itinerary or being paid a full refund of all monies paid to Wild & Exotic Ltd up to that time, subject to clause below. In the event of the client accepting an alternative itinerary, which is less expensive than that originally booked, the client will be paid a refund according to the difference. Should the itinerary be more expensive the client will have to pay the extra charges incurred. Any such refunds described above are strictly limited to monies paid to Wild & Exotic Ltd for the relevant itinerary and no liability whatsoever can be accepted by Wild& Exotic Ltd for any additional expenses incurred by the client whether or not they are a consequence of the relevant itinerary being altered or cancelled. Any Insurance premiums paid to Wild & Exotic Ltd cannot be refunded. In the event of an itinerary being cancelled or altered due to circumstances beyond the control of Wild and Exotic Ltd such as, but not limited to, riot, civil strife, terrorist activity, industrial dispute, natural or nuclear disaster, fire, flood adverse weather conditions or similar, and after such time as Wild and Exotic Ltd have made payment(s) to their suppliers on behalf of the client, any refunds made to the client are strictly limited to the monies that Wild and Exotic Ltd is repaid by the relevant suppliers. Wild and Exotic Ltd will use best endeavours to reclaim any such monies from its suppliers on behalf of the client. Wild and Exotic Ltd reserve the right to retain an administrative fee under these circumstances, normally, but not limited to, 10% of the total cost of the holiday. All prices quoted are based upon costs and exchange rates current at the time. Wild & Exotic Ltd does not itself control the costs of the various components that constitute the arrangements it offers. Accordingly Wild& Exotic Ltd reserve the right to impose a surcharge in the event of change to transportation costs (including the cost of aviation and other fuel), taxes (including airline taxes and VAT or foreign equivalent), fees chargeable for services, fluctuations in exchange rates and itinerary modifications at the request of a client or through force of circumstance. In the event of such a surcharge exceeding the cost of the holiday by more than 10% the client may cancel the holiday within 7 days of the revised notice and receive a full refund of monies paid to Wild & Exotic Ltd less any non returnable deposits made with an owner or operator. Travel insurance is mandatory for all Wild and Exotic itineraries. Clients must take out insurance to provide cover for cancellation of an itinerary or any accident, mishap or loss that may befall them whilst participating in an itinerary. Wild & Exotic Ltd accept no responsibility for the actions of any insurance company or underwriters recommended by them. It is a condition of booking any itinerary with Wild & Exotic Ltd that involves the use of firearms that the client takes out third party liability insurance. Clients in receipt of third party liability insurance must submit a copy of the certificate of insurance to Wild & Exotic Ltd at the time of booking for its approval. If the policy does not meet with Wild & Exotic Ltd’s minimum requirements Wild & Exotic Ltd reserve the right to require the client to take out additional cover, failing which the client’s booking will be cancelled. Wild & Exotic Ltd will, when instructed, assist with visa applications but cannot be held responsible in any way in the event of a visa application being rejected. Wild & Exotic Ltd strongly advise that clients consult closely with their doctors well in advance of departure date for any foreign itinerary regarding the necessary inoculations or precautions that it is advisable to take. Wild & Exotic Ltd cannot accept liability for any disease, virus, infection or other illness contracted participating in or travelling to an itinerary organised by them. The client’s attention is drawn to the fact that due to some of the exotic destinations and activities offered by Wild & Exotic Ltd he or she may be exposed to hazards and dangers not normally expected on a standard holiday. The client acknowledges these facts and confirms that he or she has chosen to proceed notwithstanding these potential risks. Please note that Wild and Exotic clients must wear protective headgear rated to a minimum of EN 1384 at all times when riding horses. See The British Horse Society website: bhs.org.uk/Riding/Riding_Safely/Safety_Equipment/Hat_Standards.aspx As Wild and Exotic cannot guarantee that our suppliers will have hats conforming to the requisite standards, or that they will necessarily be a good fit, we strongly recommend that you take and use your own protective headgear on any holiday that will involve horse riding as an activity. Wild and Exotic Ltd can assist with all travel arrangements, although they cannot be held liable should the quotes they obtain for flights subsequently be available at a cheaper price elsewhere. Wild and Exotic Ltd cannot be held liable for problems that arise with flights and travel arrangements. These may include delays, changes to schedule or overbooking. Loss, delay or damage to baggage is not the responsibility of Wild & Exotic Ltd. Clients booking their own flights should not do so until they have received written communication from Wild and Exotic Ltd that their holiday arrangements have been confirmed in the destination country. Wild & Exotic Ltd apply all reasonable checks to ensure that the organization and preparation of an itinerary is compatible with the appropriate standards. The descriptions given to the various itineraries in letters, brochures, by email or on a website hosted by Wild & Exotic Ltd or on the telephone are as accurate as can be established at the time of disclosure and are given in good faith. In the case of overseas arrangements Wild and Exotic Ltd act only as a booking agent and have no liability whatsoever for any details of the arrangements made and in particular no liability whatsoever for any illness, personal injury, death or loss or whatever description the client may suffer. Wild & Exotic Ltd does not accept responsibility for death, bodily injury or illness caused to a client unless resulting from the proven negligence of Wild & Exotic Ltd. It is the responsibility of the client to ensure that he or she obtains all relevant and necessary documents requirements for foreign travel and to ensure that they are up to date and in order. Wild & Exotic Ltd cannot accept responsibility if the client fails to take these necessary precautions. It is the responsibility of the client to check-in at the correct time for flights and arrive punctually for all travel departures. 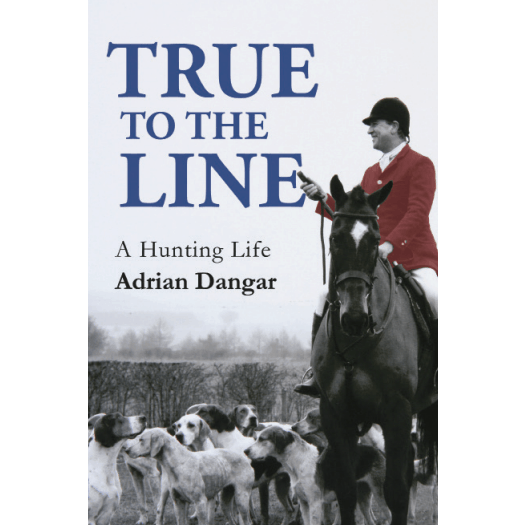 The client must at all times avoid causing damage, danger, annoyance or distress to other clients or third parties, and must comply at all times with reasonable instructions given by any representative or agent of Wild & Exotic Ltd. In the unlikely event of dissatisfaction with facilities or services whilst participating in an itinerary the client should notify both the supplier of the relevant facility or service and also notify Wild & Exotic Ltd at the earliest possible opportunity. Failure to take prompt action may result in the client’s legal claim to compensation being reduced or extinguished. The client’s booking with Wild & Exotic Ltd, together with any matters arising from it, will be governed by and construed in accordance with English Law and is subject to the jurisdiction of the courts of England & Wales. Booking conditions vary according to the activity and destination and payment or part payment of Wild & Exotic Ltd’s invoice or invoices will be deemed to indicate that the client has read and understood the terms and conditions of the relevant booking form and accepts those terms and conditions. Clients should be aware that they are normally expected to sign the relevant operator’s indemnity from before the commencement of their holiday. These forms can be supplied in advance if this request is made in writing to Wild and Exotic Ltd. If any provision(s) of these terms and conditions is (are) ruled invalid under any law it (they) shall be deemed modified or omitted to the extent necessary and the remainder of the terms & conditions shall continue in full force and effect. 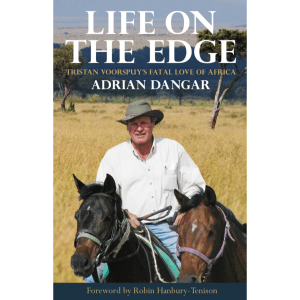 Buy Life on the Edge, Adrian Dangar’s biography of Tristan Voorspuy (the founder of Offbeat Safaris) here.